Maximum Load Capacity: 8000 lbs. 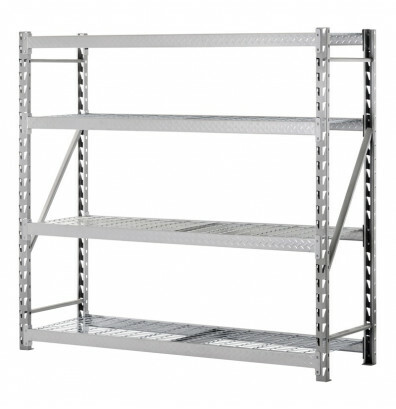 Sandusky 4-shelf 72" H open-back storage shelving unit offers an industrial strength welded steel frame and beams with treadplate embossed design. Heavy duty wire shelves adjust in 3" increments to fit multiple storage need. 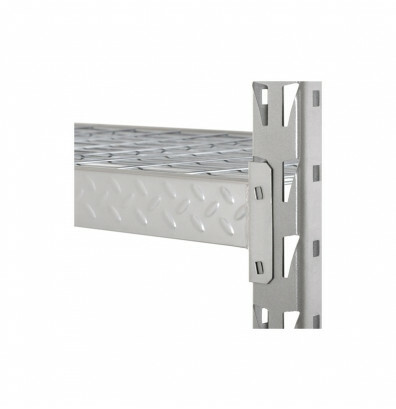 The center support channels provide additional support to wire shelves. Each shelf holds up to 2000 lbs. evenly distributed. This storage shelving unit is NSF certified for safety, design, and sturdiness. Made to assemble in minutes.